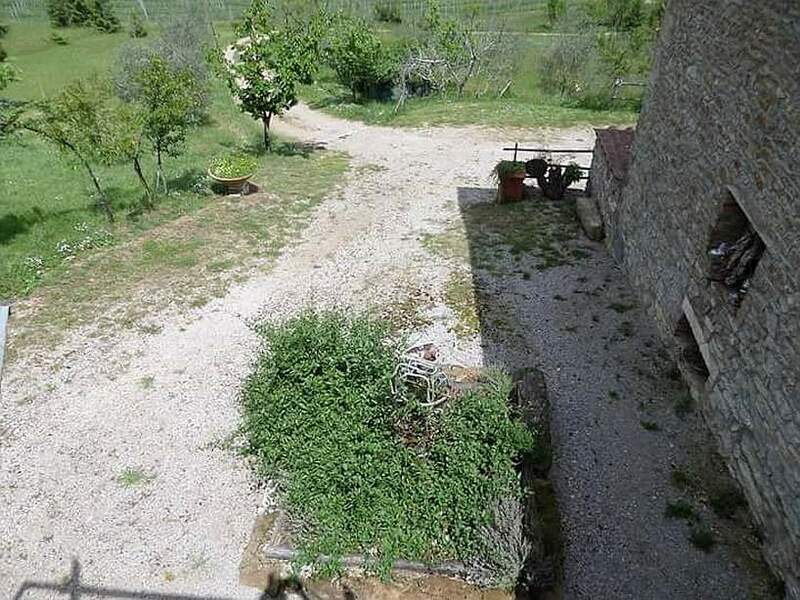 In the collective imagination, Tuscany is often represented by a stone farmhouse perched on the top of a hill with a long access boulevard that crosses the countryside. 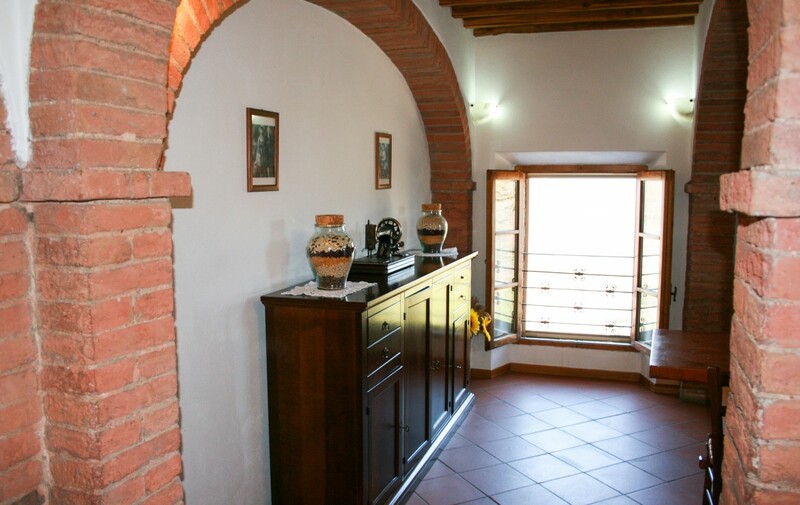 All this we find here, in the Podere alle Coste where from the far 1500 this farmhouse served as a refreshment point for travelers crossing the Crete Senesi area. 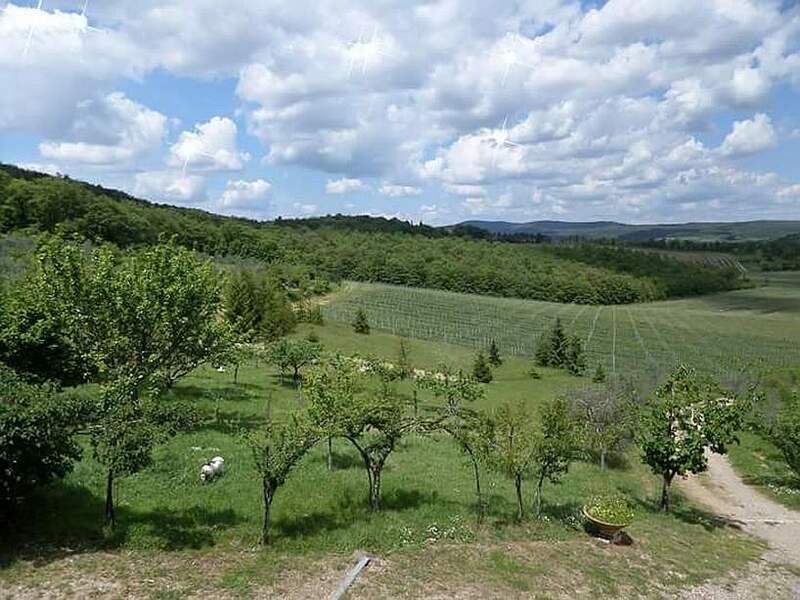 We are in the province of Siena, considered by Unesco as “the most beautiful province in the world“, in the territory called “Le Crete Senesi” whose name derives from clay present in the ground, giving the landscape the characteristic color Gray-blue and an appearance often described as lunar. 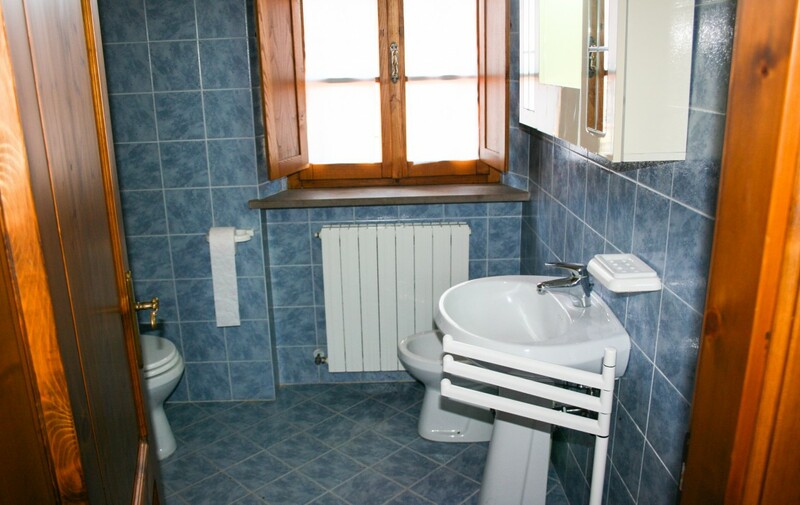 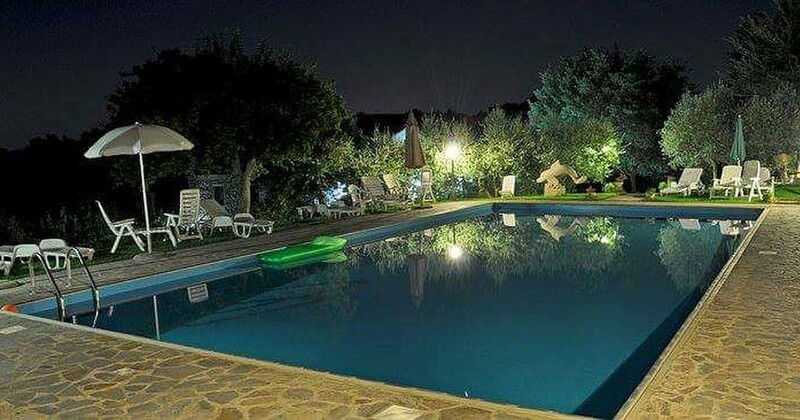 The municipality is the one of Rapolano Terme, a famous spa resort that has two establishments the Terme di San Giovanni and those called Antica Querciolaia. 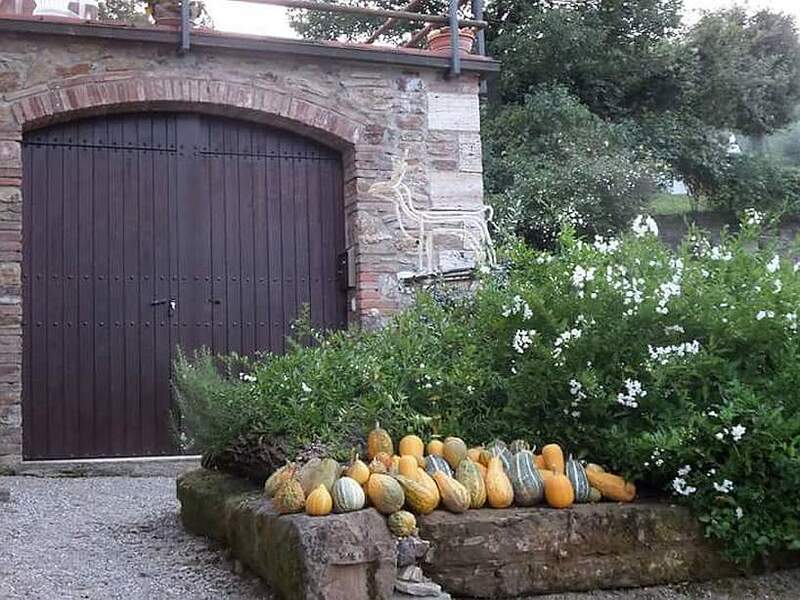 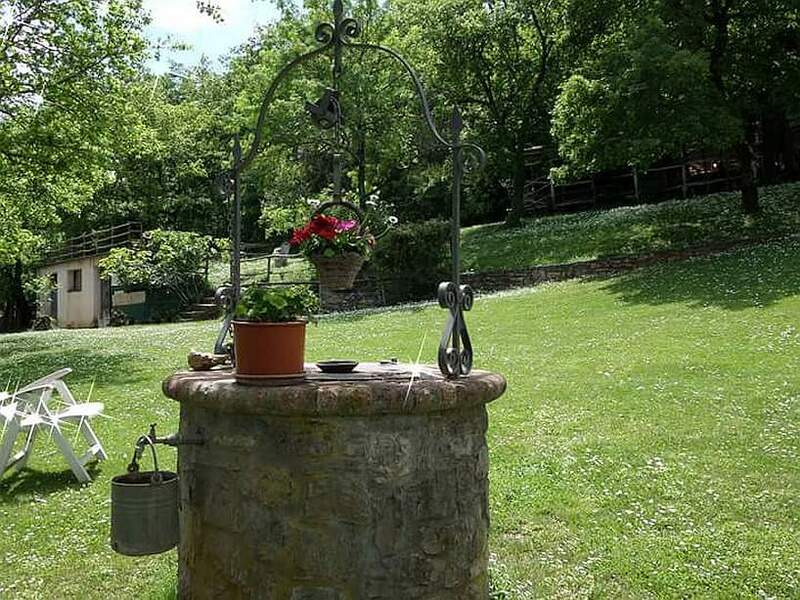 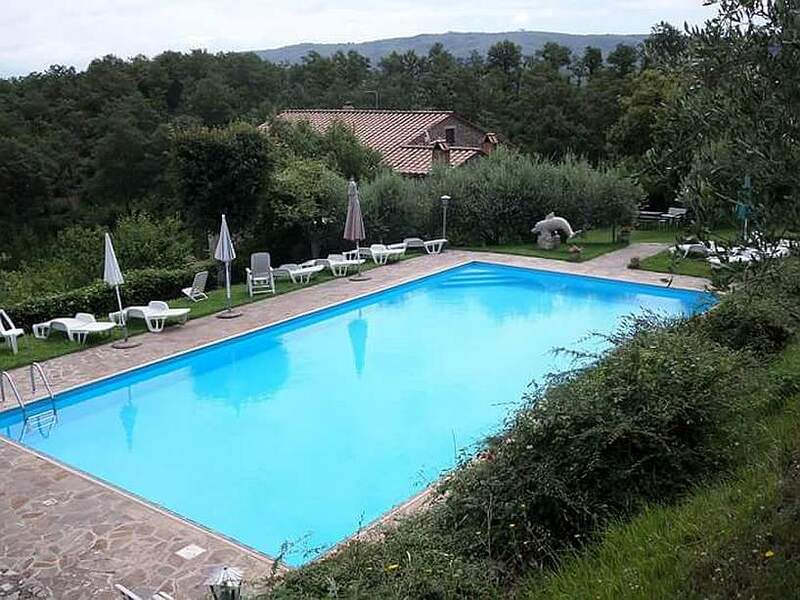 A short distance from the hamlet of Serre di Rapolano, in San Giminianello, you reach the farmhouse through a dirt road that takes you a short distance from the Siena-Bettolle junction. 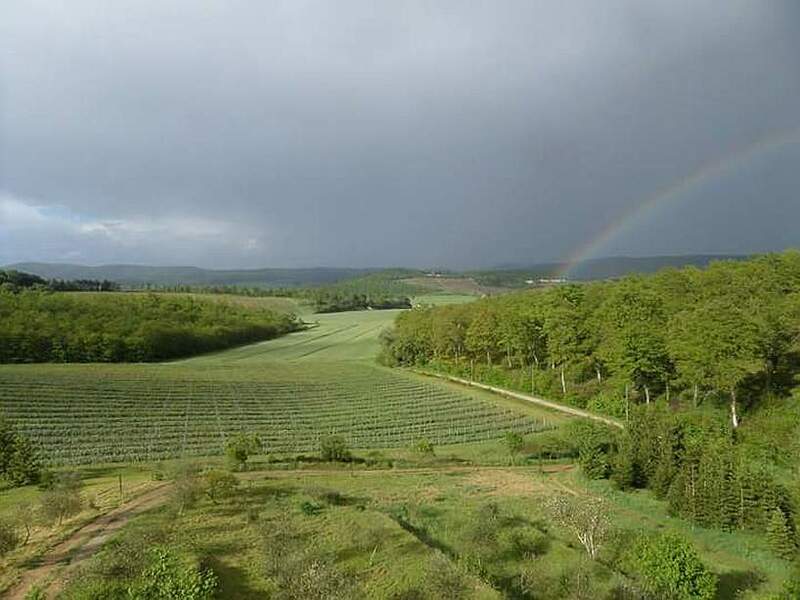 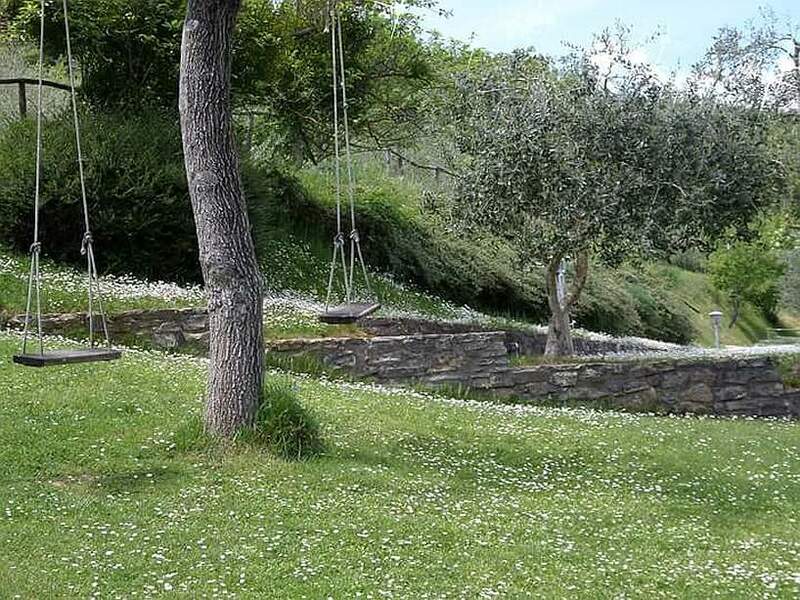 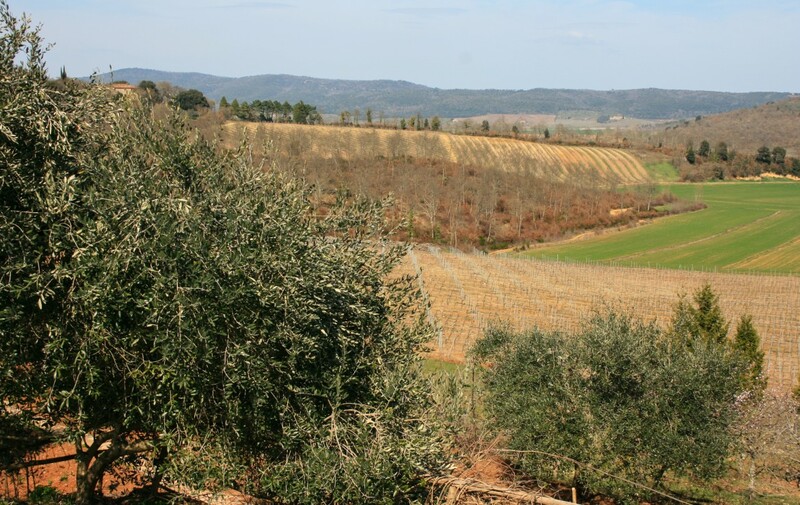 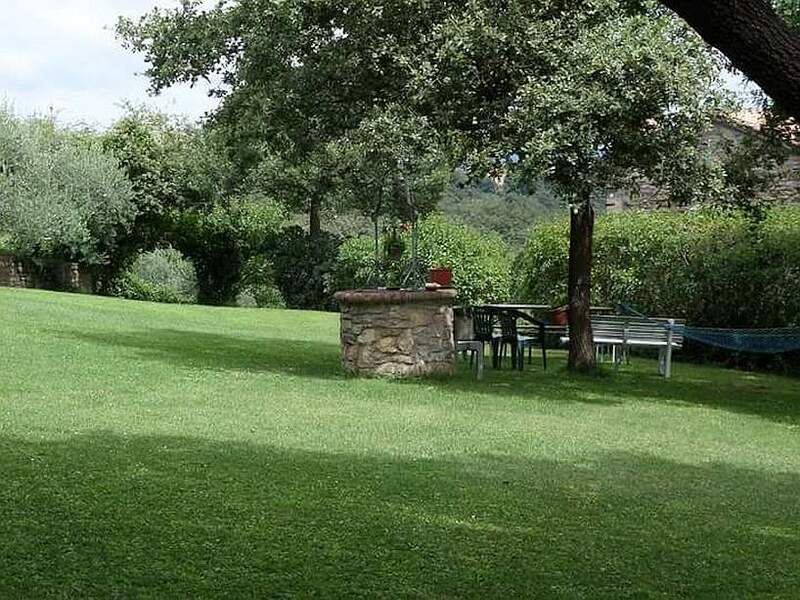 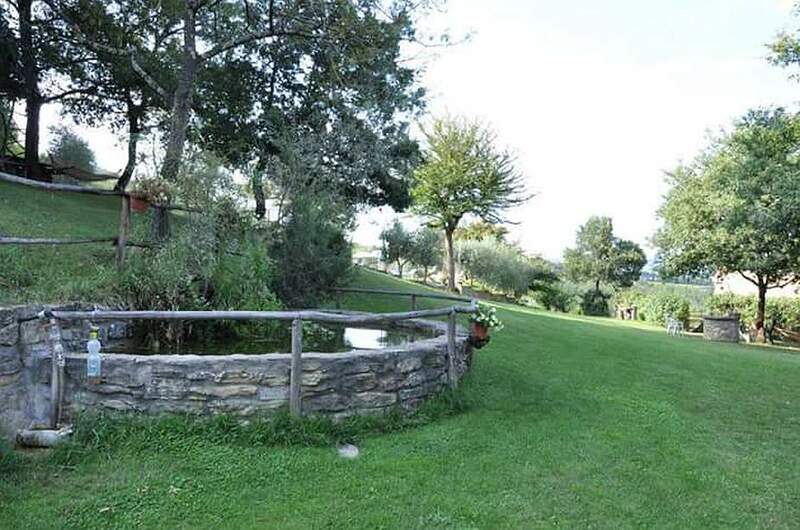 The property stretches on the hillside for about 47,000 sqm of land, of which about 19,000 sqm of olive grove, another 10,000 destined for nursery activity of fir trees and the remaining divided between woods, orchards and meadows surrounding the house. 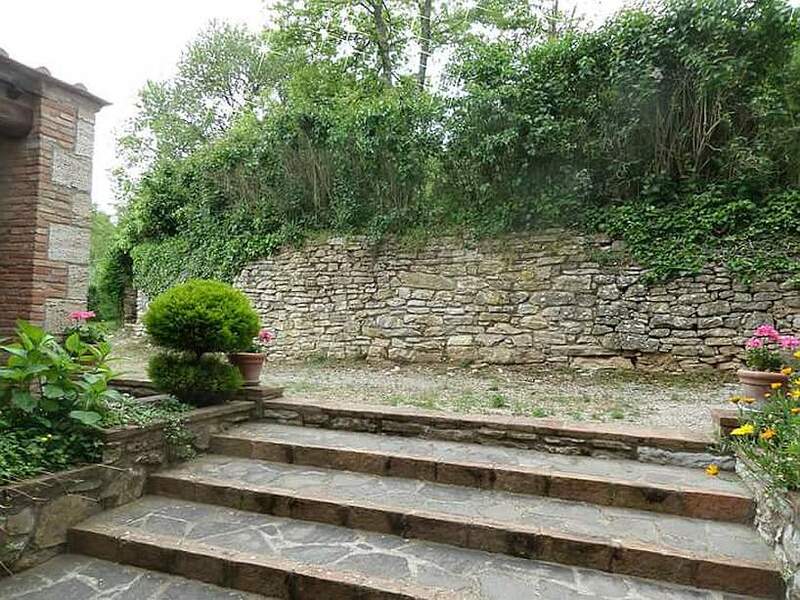 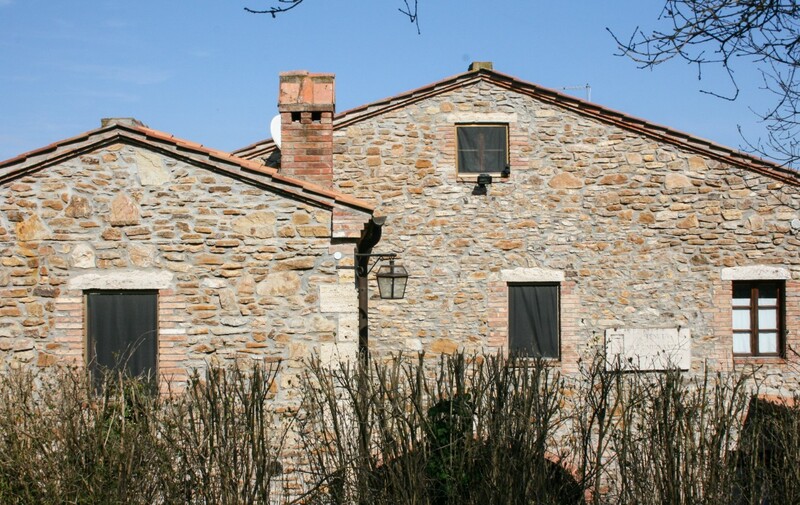 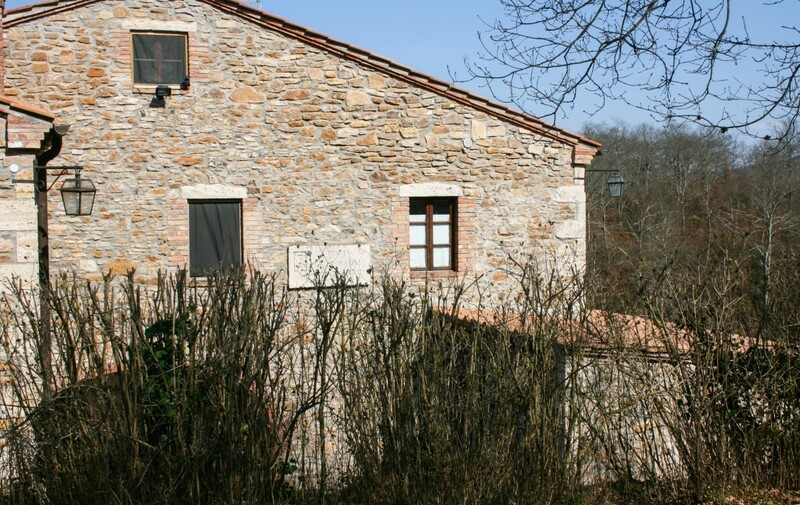 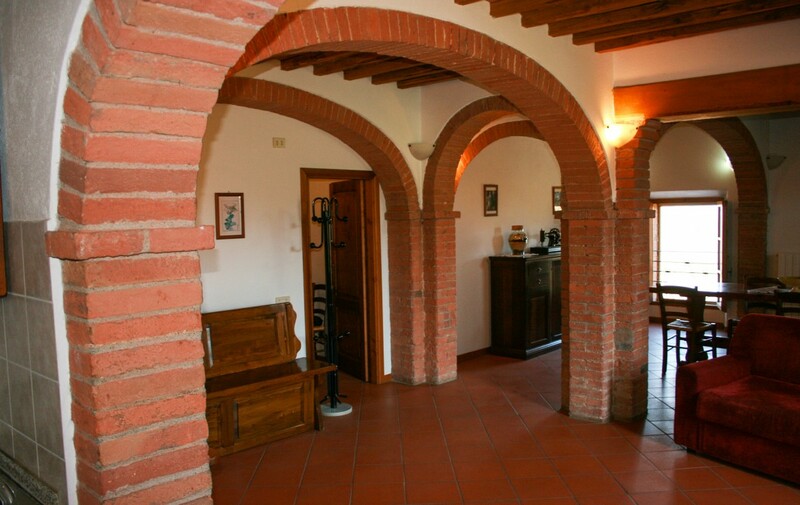 The building of about 2,400 square meters, externally appears as with the architecture of the typical Tuscan farmhouse, with its perimeter stone walls and two-sided roofs. 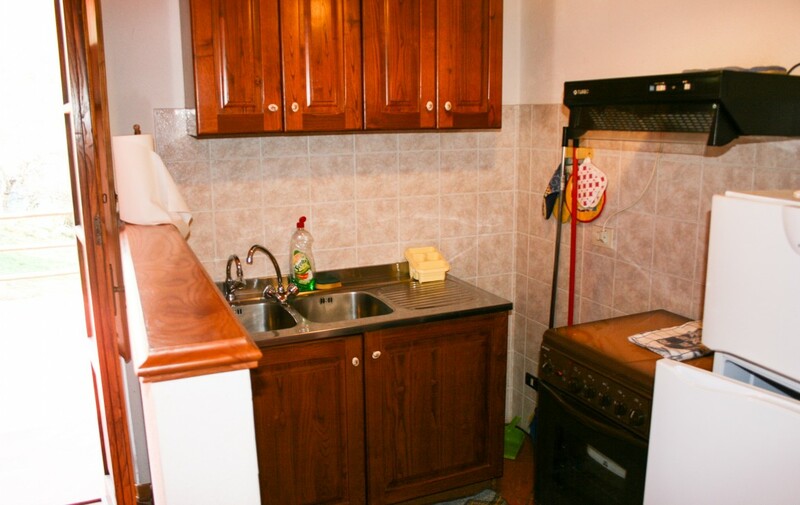 A few years ago, the current owners have did massive renovation and enlargement work, getting 5 completely autonomous apartments. 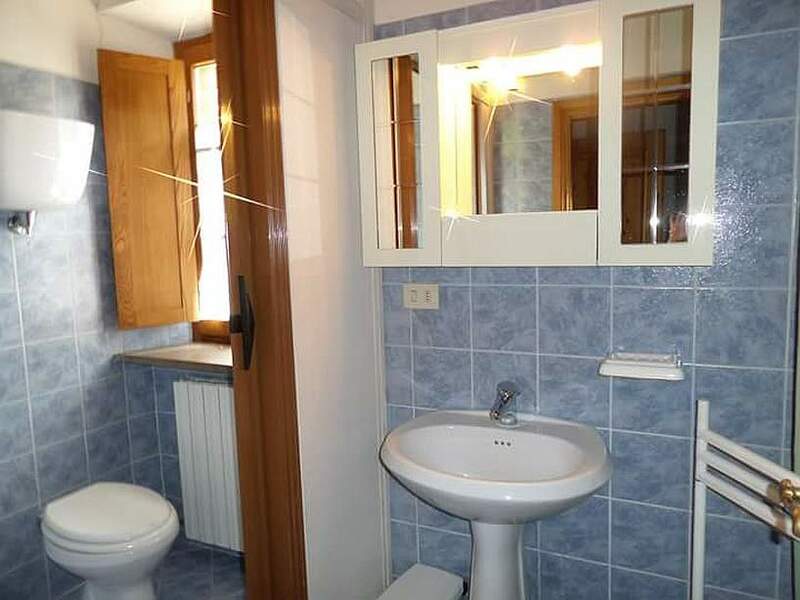 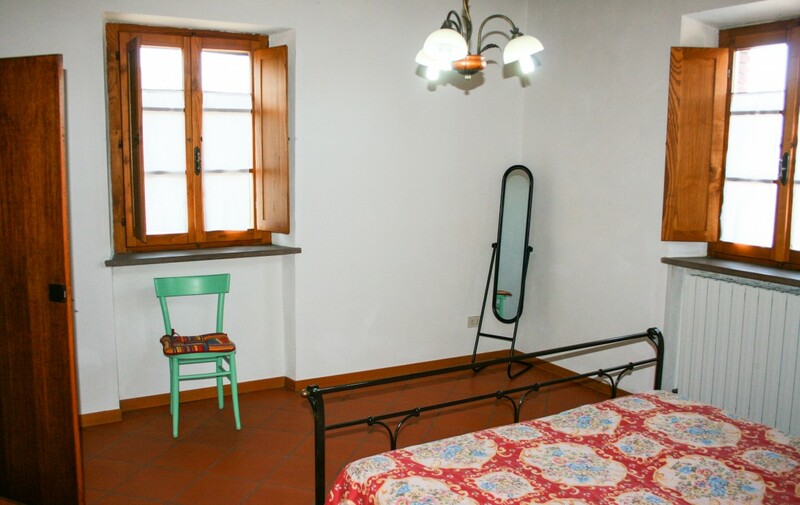 Two were made on the ground floor and three on the first floor; The prevailing type is that of the two-room apartment where can be comfortably accommodated 4 people, a large living area with kitchenette, the master bedroom and the bathroom. 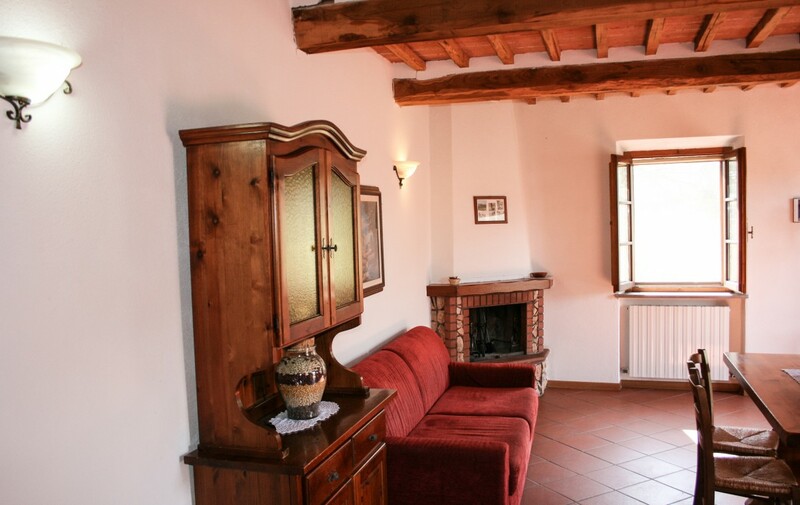 The only exception is the largest one on the ground floor, suitable for larger groups or families, where, apart from the separate kitchen and the large living area, there are two double bedrooms. 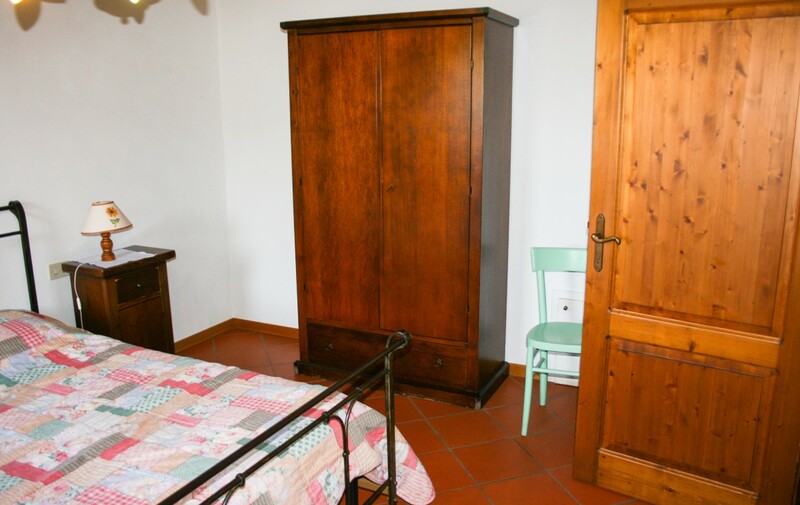 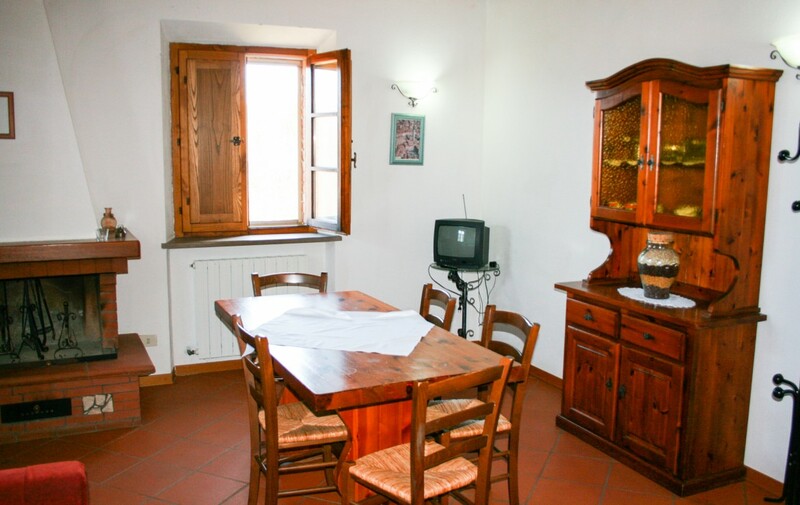 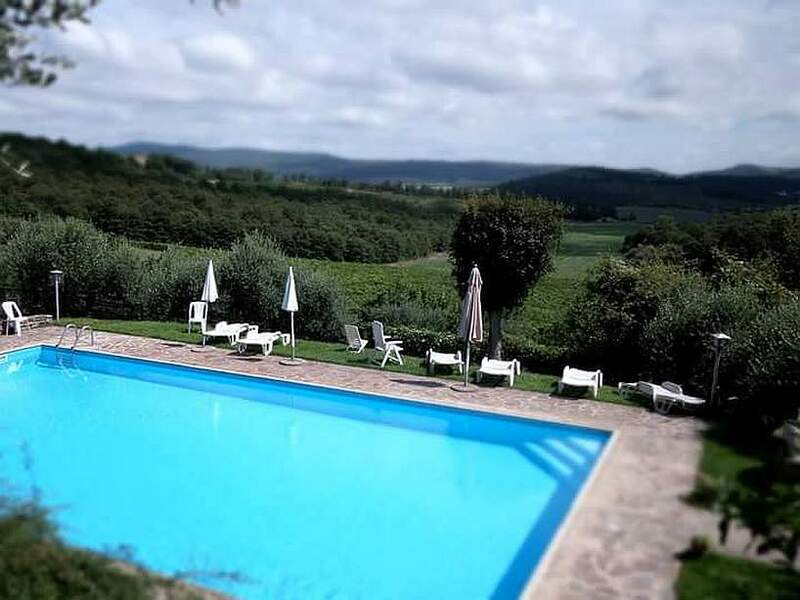 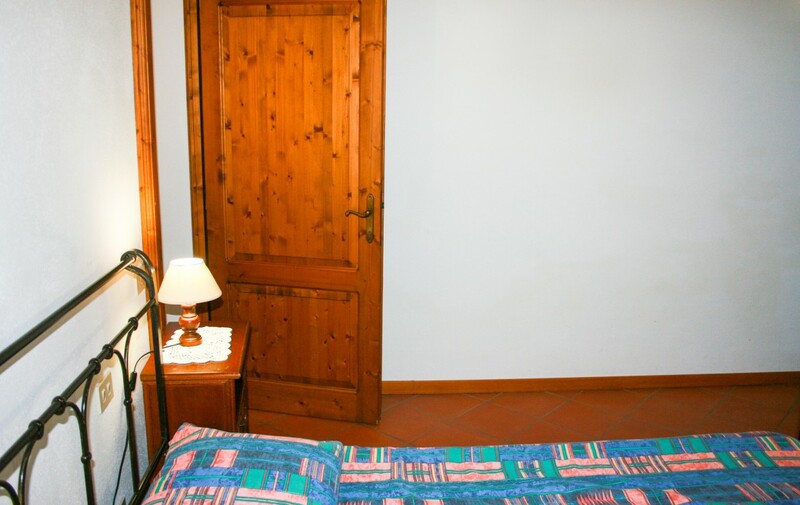 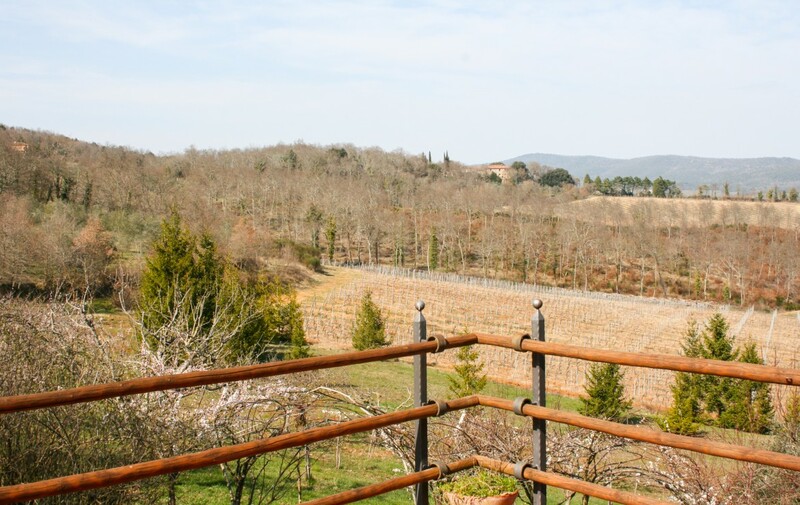 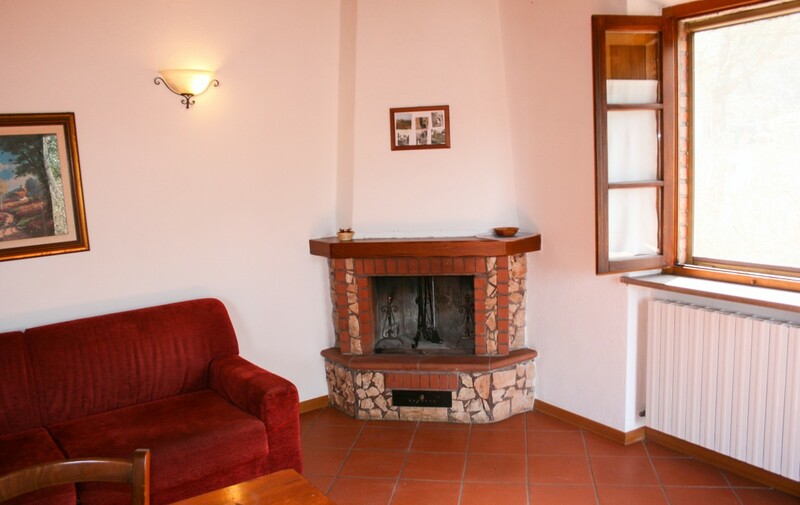 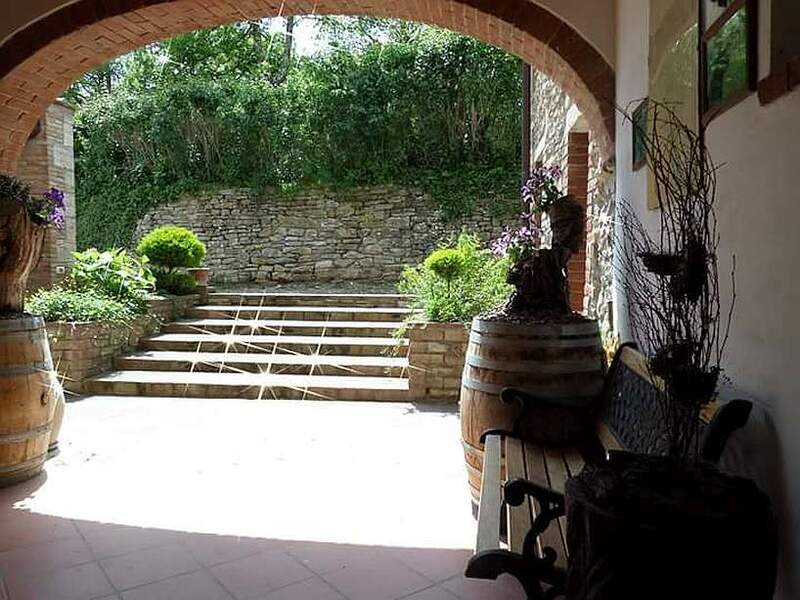 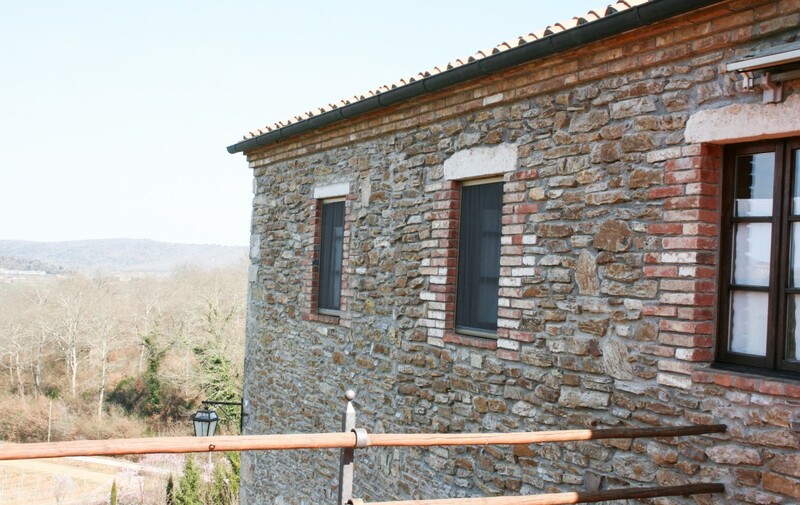 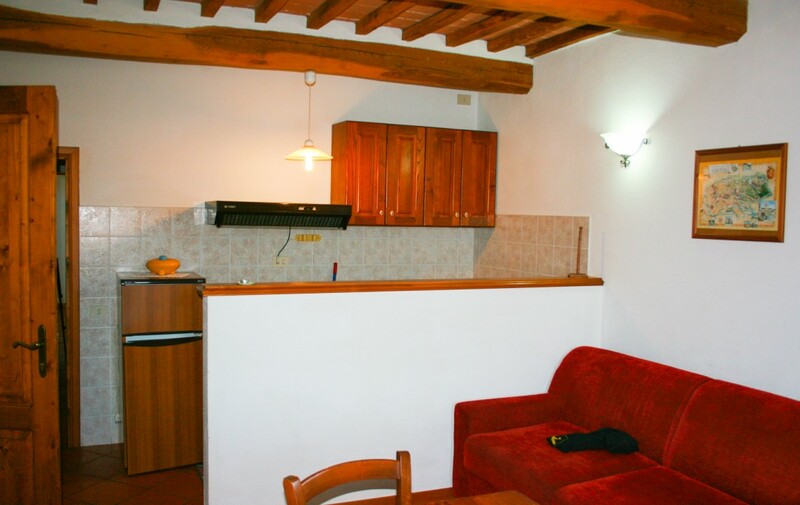 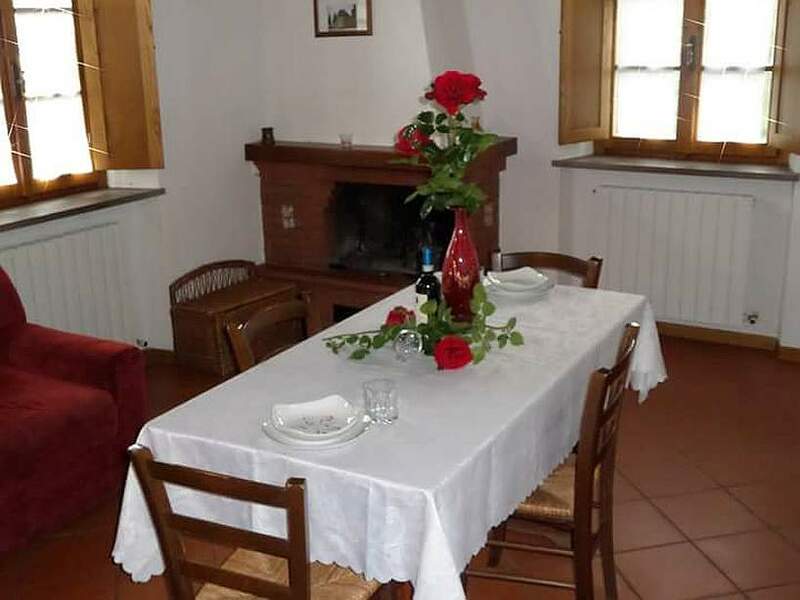 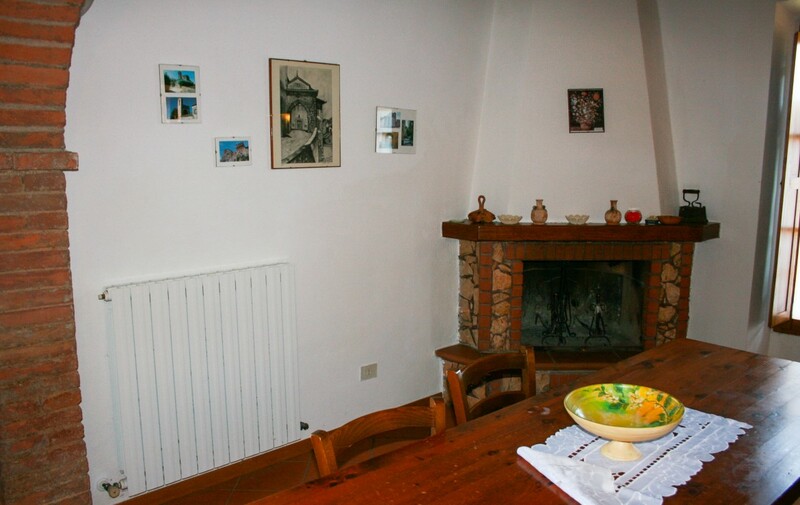 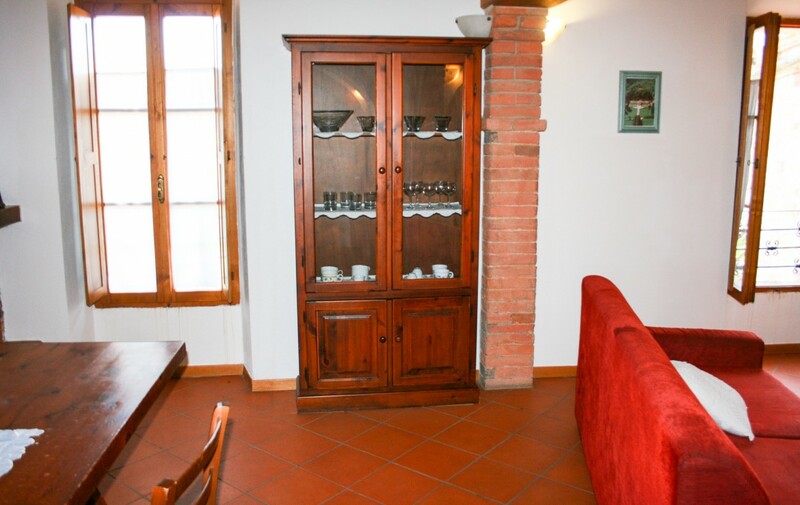 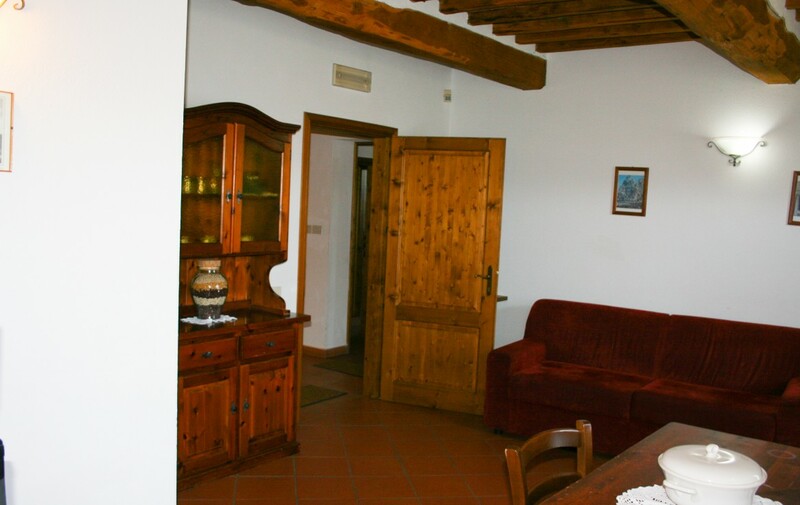 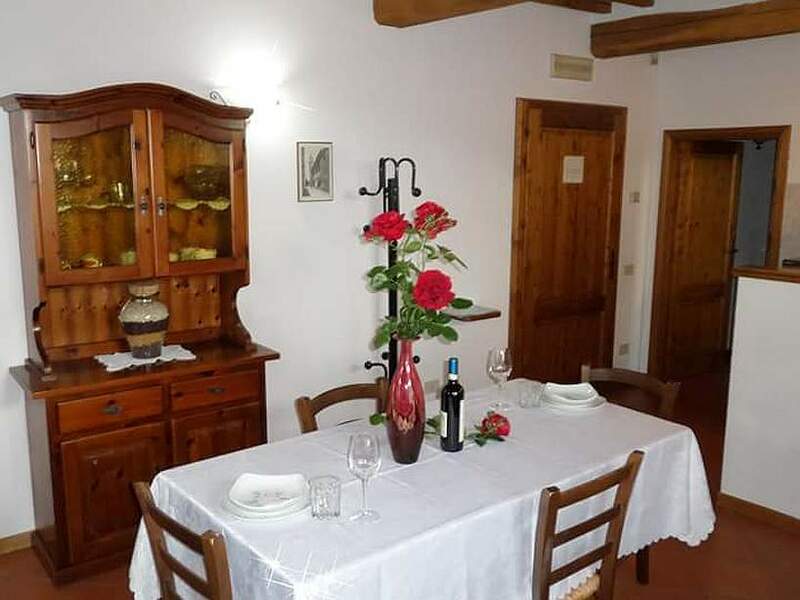 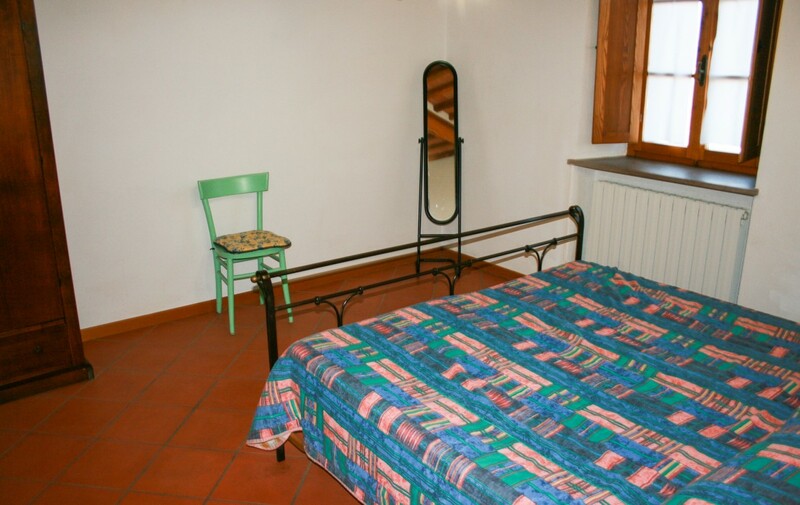 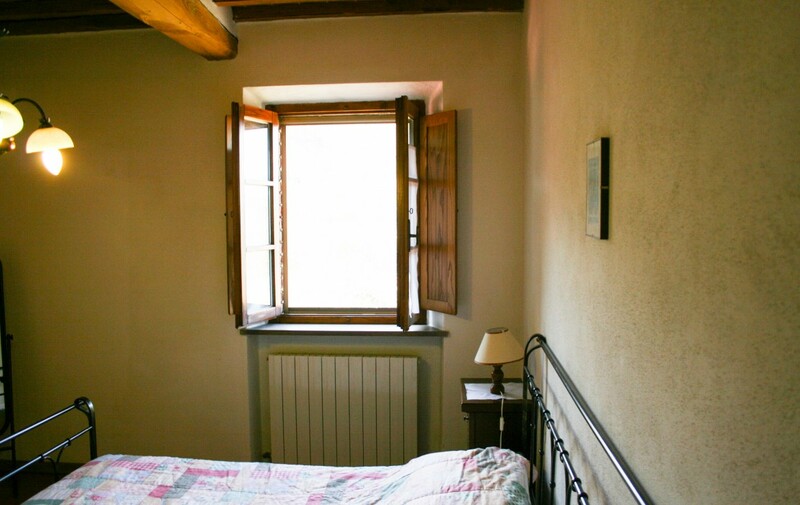 From all the accommodations you can enjoy a wonderful view of the surrounding hills, for the most fortunate guests, then one of the apartments has a wonderful terrace where you can relax in the tranquility of the Tuscan countryside. 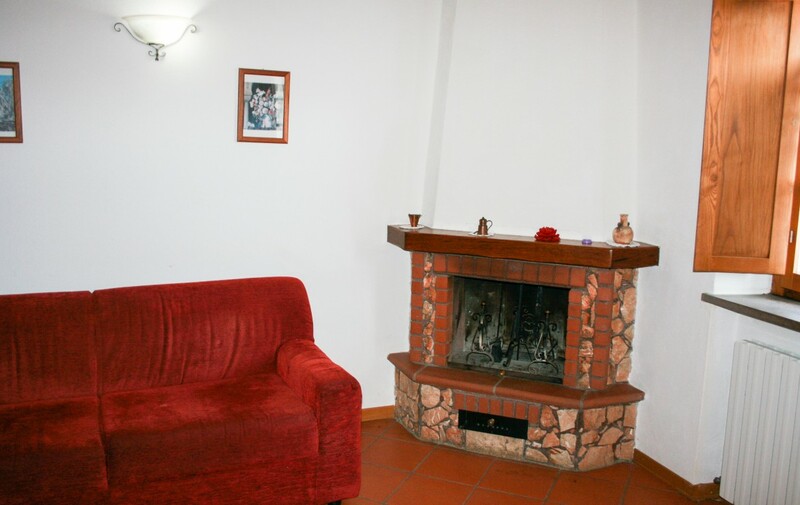 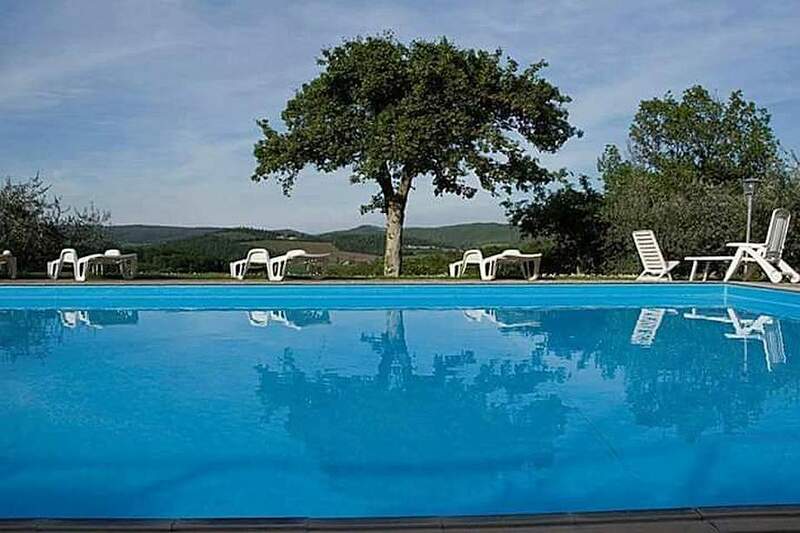 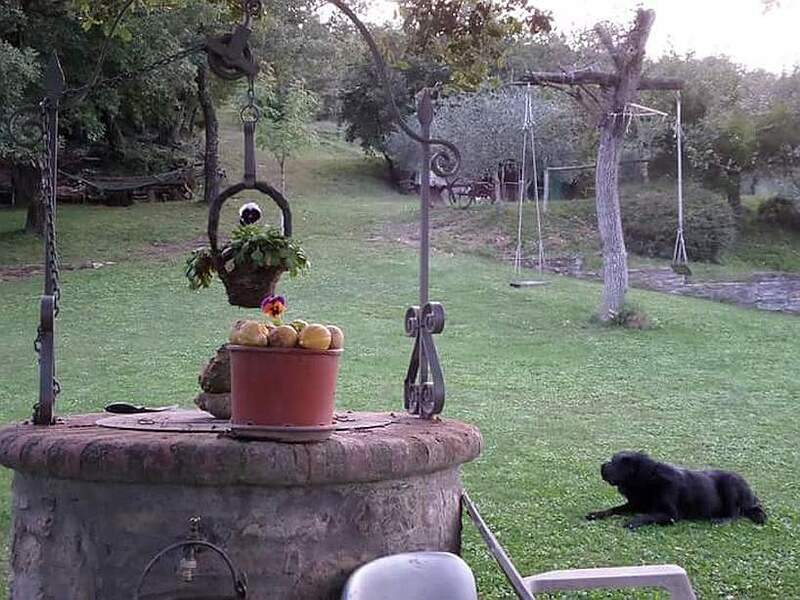 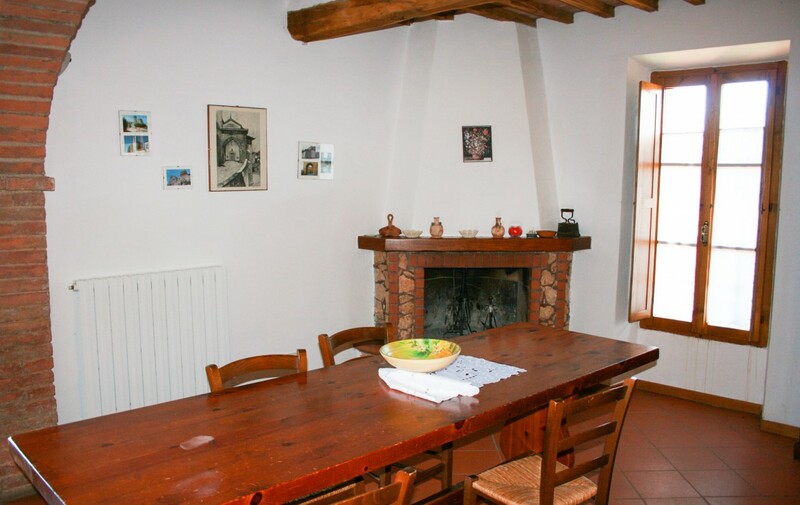 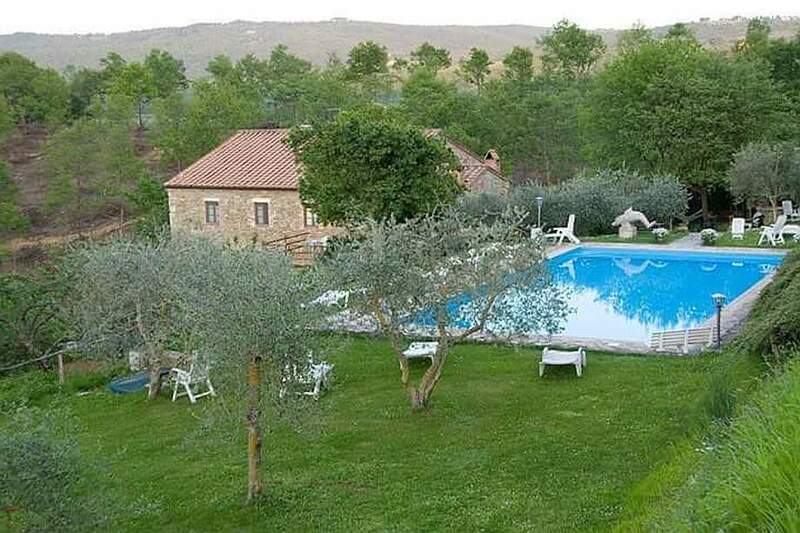 The farmhouse is surrounded by a large garden full of olive trees and fruit trees and enriched by a large swimming pool available for guests staying in the apartments. 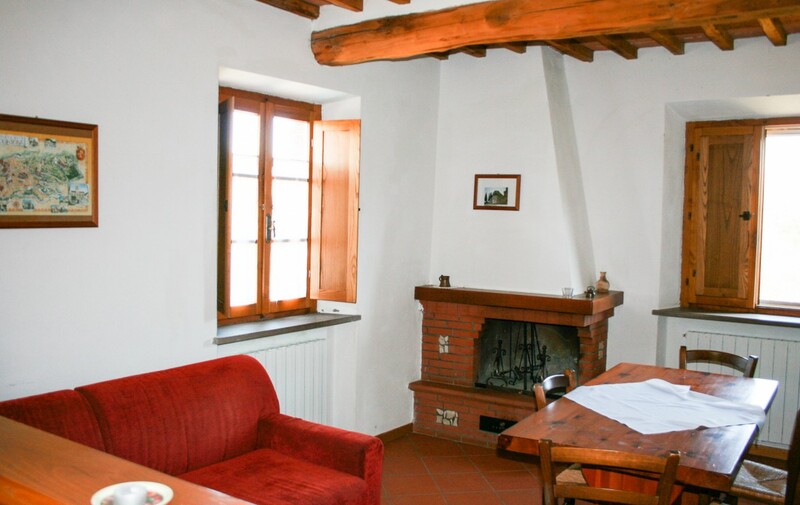 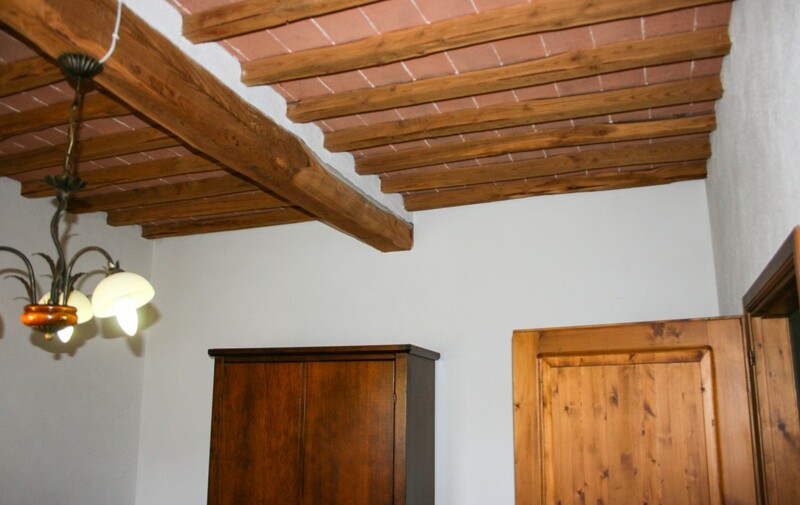 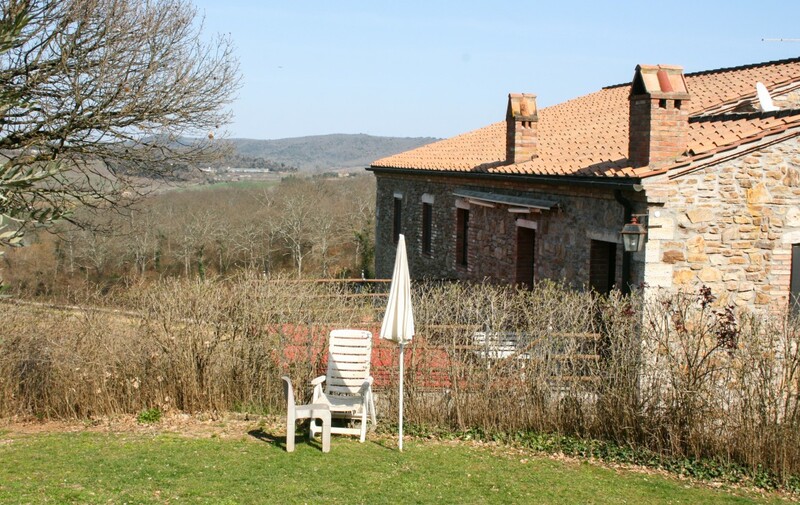 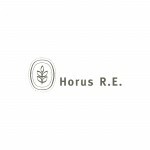 The property is currently used as a farmhouse, in addition to the management of the apartments, the surrounding land is cultivated with the production of olives, vegetables and fruit in addition to the vivarium activity of fir trees. 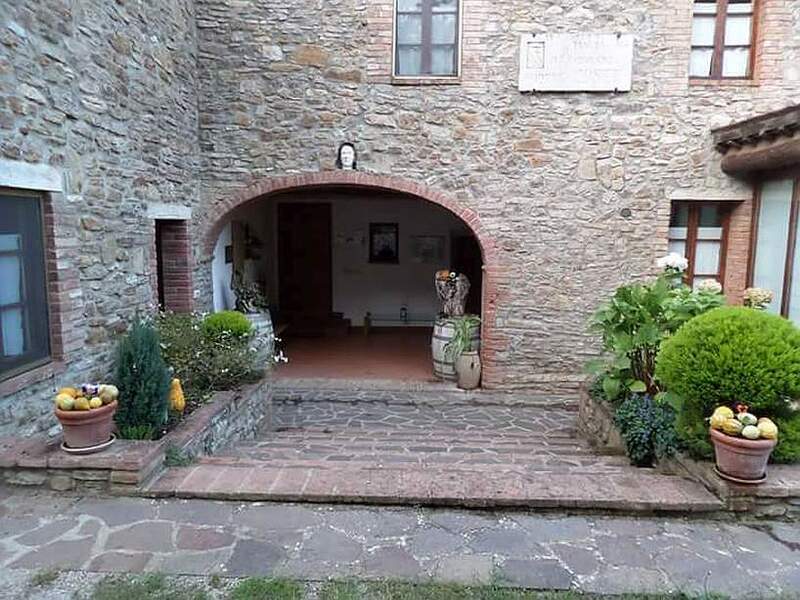 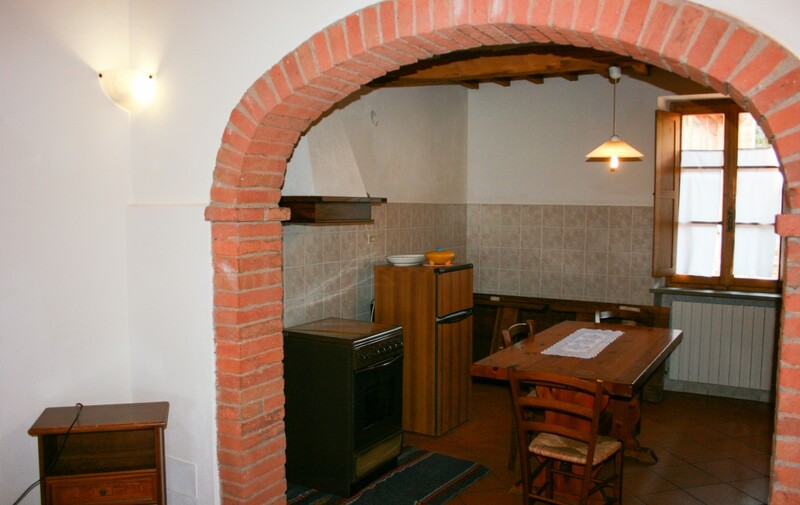 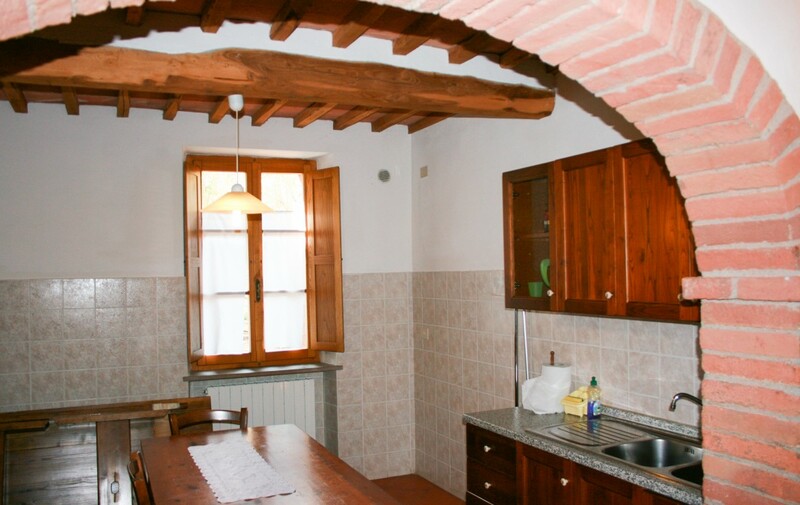 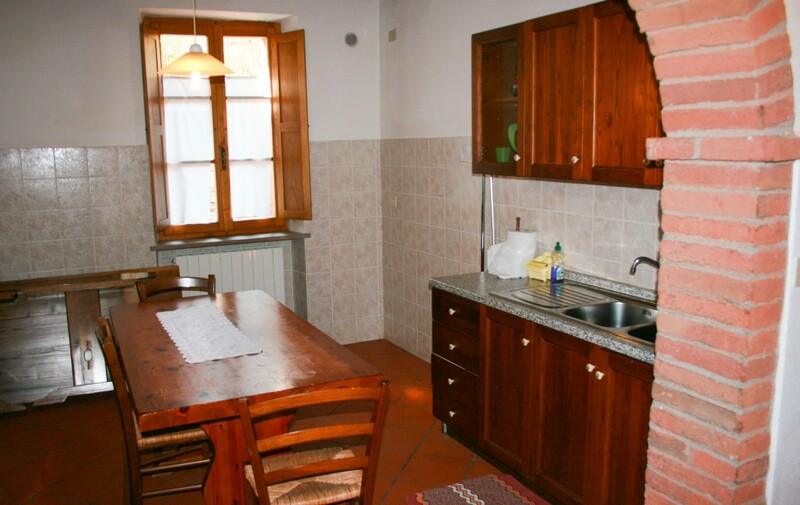 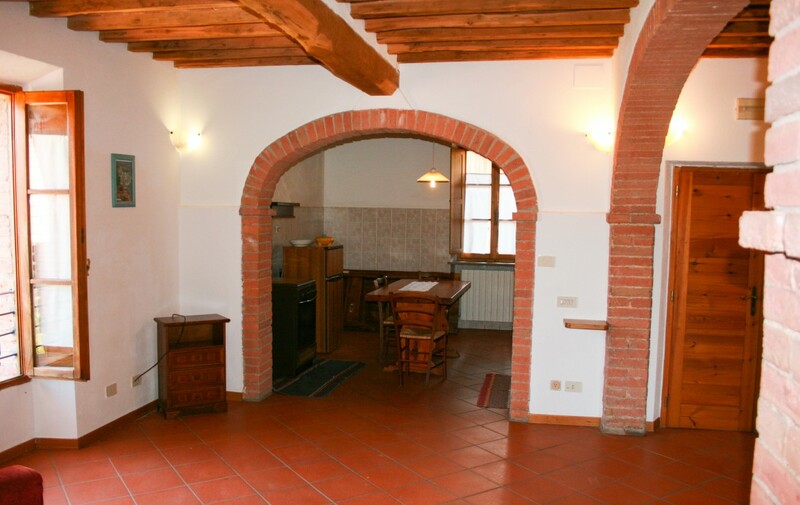 The farmhouse lends itself to many uses for those seeking an investment in tourism or agriculture in an environment of interest and prospect but also for those who are looking for a property to live immersed in the quiet of the Tuscan countryside Same time not too far from the services and opportunities offered by cities such as Siena (30km) and Florence (90Km).